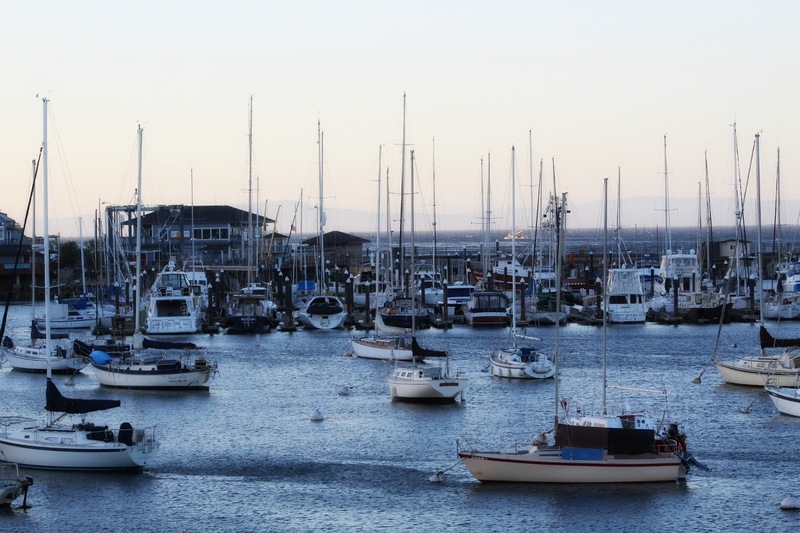 There is so much to do in Monterey, but don't let that intimidate you! If you have limited time, it's still possible to hit all of the major sites in one day. 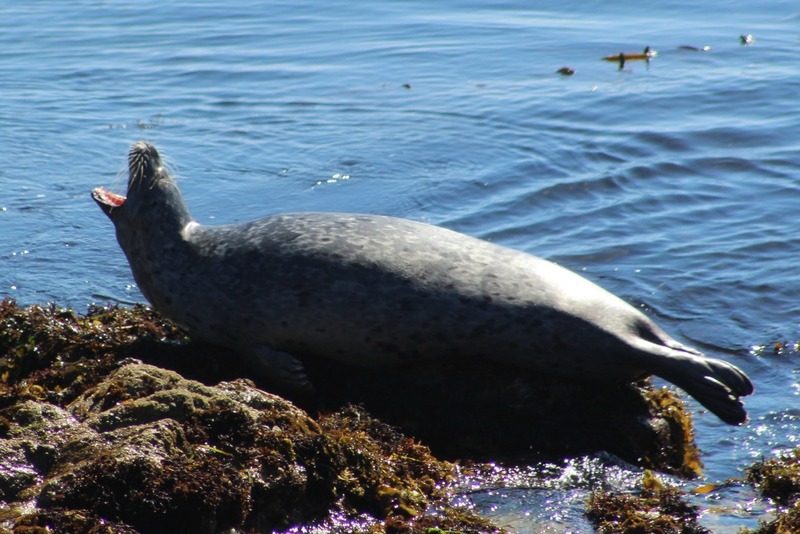 Attractions include the 17-Mile Drive, Cannery Row, Fisherman's Warf, and the aquarium. Unfortunately I didn't do the latter because I split my day between Monterey and Carmel (Carmel post on Friday! ), but it can be added to your itinerary, just carve out at least two hours. We woke up early and hit Cannery Row before anything was open. It's mostly restaurants and shops, plus the Monterey Aquarium. I'm not a big fan of shopping while on vacation so I liked that I got to see the area while it was peaceful. A few blocks away we ate breakfast at Crepes of Brittany. BEST crepes I've ever had. No joke, I ordered the caramel banana and it was so delicious but my photo didn't do it justice so posting a pic would do it a disservice. My friend went with the savory option that included lox, brie, and caramelized onions and it was just as good. And the prices are reasonable. I highly recommend this spot. After breakfast we headed to our hotel back in Carmel for a bit, then over to 5th Ave. Deli to grab lunch. This deli is perfect for tourists who want to grab tasty food to go. Have a sandwich made, pick out baked goods, and grab a bottle of wine. They even sell picnic baskets so you can take it with you to the beach or on a drive like we did. Once we had our lunches, we made the quick five minute trip to the 17-Mile Drive. It's $10 for an all day pass and once you enter you're given a map with points of interest. I highly suggest you approach that map backwards. If you're entering from Carmel, that means veering to the left. It's also to the left if you start from Monterey, north of the drive. We found that taking this route meant we were going opposite of the crowd so there wasn't traffic. This scenic drive runs through neighborhoods so to help you stay on the path, follow the red lines on the road. There are a lot of stops so allow yourself at least three hours, then decide what you want to see. 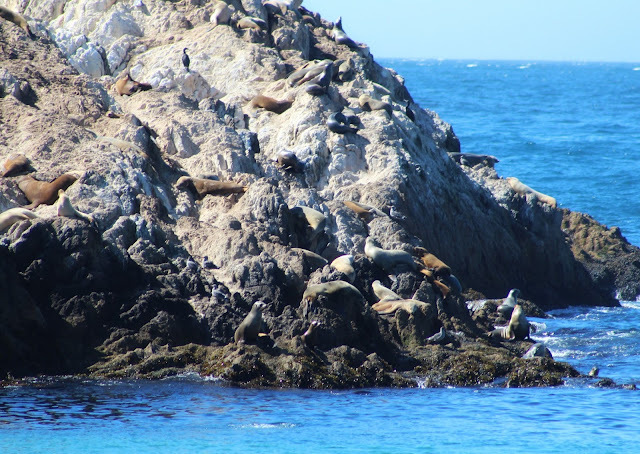 Some of the highlights included Pebble Beach, the Lone Cypress, and Bird Rock Beach where we saw a ton of seals! Later that night we headed to Fisherman's Warf for dinner and otter watching. 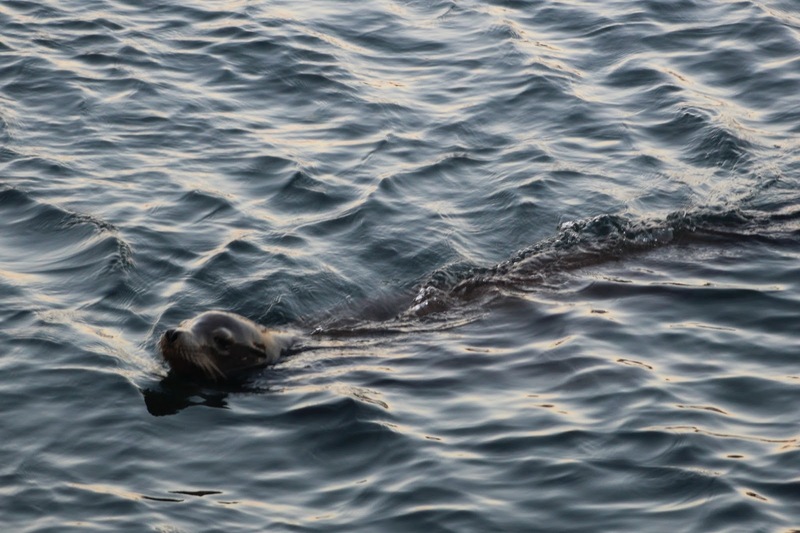 We got lucky and saw a little guy floating right off the pier and then as a bonus a few sea lions swam by as we ate dinner next to a big window. 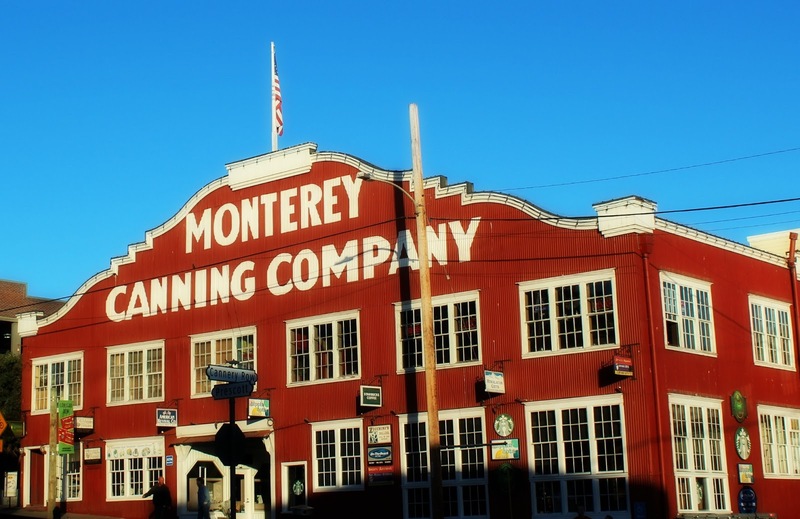 It was the perfect location as the sun set over Monterey. I highly suggest dinner at Big Fish Grill. Great service, delicious food, and the perfect spot to gaze out at the water. It's right at the end of the pier at Fisherman's Warf. They even have a viewing deck open to the public right above and behind the restaurant where you can look for wildlife and admire the sailboats. To start, we enjoyed grilled salmon cakes (which I'd never had) and roasted oysters topped with artichokes. Both were great, but I could have ordered several more oysters. The artichoke was a nice, unique touch. The main dishes did not disappoint either! My friend got the Big Fish Cioppino, a hearty stew full of several types of seafood. I usually shy away from anything with lots of different fish in it but I was pleasantly surprised upon tasting that I really liked it. From the calamari to the clams, each bite was cooked well and I think that's why I enjoyed it so much. And then there was my dish that I proceeded to gorge myself with. I was full about halfway in, but the flavor was amazing and I couldn't stop eating it! I got the lobster-stuffed prawns over risotto. Anyone who watches Hell's Kitchen knows that Gordon Ramsay is particular about his risotto, and I have eaten it at one of his restaurants - it has nothing on this dish. Seriously, go to Monterey and eat at Big Fish Grill. The view and the food can't be beat! 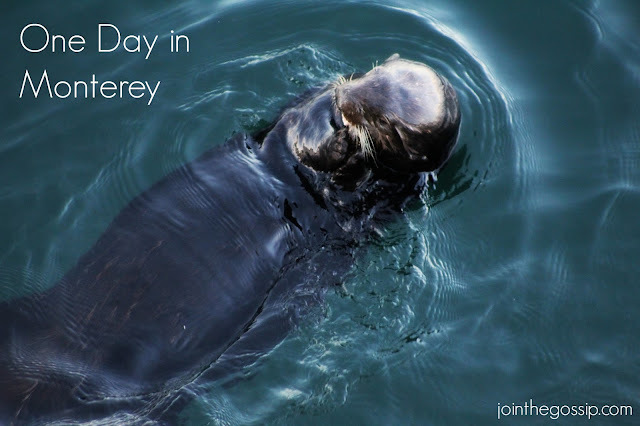 If you've been to Monterey, is there anything on the list that I missed other than the aquarium? Let me know in the comments! Check out my last post featuring my Southern California to Carmel road trip. And be sure to come back Friday for my review of Carmel and the charming Hofsas House. Disclaimer: I was invited to dine at Big Fish Grill and 5th Ave. Deli and provided complimentary meals in exchange for honest reviews. All thoughts are my own. What a fun trip! The pictures are just stunning, and the seals and sea lions are just too cute! So glad you enjoyed yourself! What a great trip! The pictures are so gorgeous! What a whirlwind trip- you saw so much! And omg, the otters + sea lions are sooo cute. We are in the Army and Monterey was one of the places we said we would be okay with going to! Your post totally makes me want to go NOW! How fun!! !